Propel your training to the next level with Personal Coaching and start to achieve the improved results you’ve been working so hard for this year. You’re already highly motivated, driven to excel, and focused on improving your performance. Now you want to ensure that all your time and hard work spent training pay off. Tap into over 20 years of cycling training and racing knowledge and experience and reap the benefits of our personalized coaching analysis and feedback. Work one-on-one with our coach to balance your dedicated personal training and racing goals with your busy schedule and lifestyle. We’ll work with you to develop an individualized path to improvement. You’ll review and analyze your training and progress with our coach each week. You’ll get feedback and recommendations on how to improve your workouts and your race strategy. And you’ll be held accountable to your commitment for achieving improved results. You can also add a Nutrition Coach to the Personal Coaching service. One of the most overlooked aspects of training and racing is proper nutrition. Poor nutrition habits can quickly derail your goals. Even if you think you eat well, you’re likely missing key nutrients that will help you improve your power, endurance and recovery. One of the best ways improve performance is to improve your strength-to-weight ratio. You can do this fairly quickly by attaining your goal weight while maintaining or improving your strength. Personal Coaching and Nutrition Coaching can help you achieve this result. With the purchase of Nutrition Coaching, you’ll work one-on-one with Kelli Jennings, Registered Dietitian, Sports Nutrition Expert, and avid Endurance Mountain Biker. Review and analysis of your completed Athlete Interview Form and Personal Goals Worksheet. Weekly athlete-initiated communication by email or phone. Training progress analysis and feedback. Bi-weekly check-in emails from the coach. Daily email reminder with detailed workouts. FTP (Functional Threshold Power) Field Tests to measure progress every 4-6 weeks (Power Meter Users ONLY). Workout schedule created in 1-week to 4-week blocks, with adjustments as needed. Pre-race preparation and post-race analysis. One free TrainingPeaks Premium account (a $20 per month value). Nutrition guidance provided by MTBCoach partner, Apex Nutrition, LLC. Get a 25% discount on the Apex Nutrition Fuel Right Instant Download Sports Nutrition Plan eBook or sign up for the optional nutrition coaching (see below) . The MTBCoach Training and Racing Handbook, which includes information about how to use the training plan, execute workouts, nutrition, rest and recovery and much more. The option to receive review and analysis of your previous season’s workout files from WKO or TrainingPeaks by our coach (optional – $75). Initial personal assessment and analysis of your current nutrition habits. Custom nutrition plan with specific individual recommendations for daily nutrition, training nutrition, supplements and hydration. Custom meal plan with specific foods and portions listed for every meal, snack, and training fuel (before, during, after). Optimal training fuel plan to ensure you are meeting your hourly needs on the bike, for all durations and intensities. Optimal pre-training nutrition to give you a jump-start with nutrients and electrolytes without gastric upset. Recovery improvement recommendations to help reduce fatigue, soreness, and recovery time. Specific guidance in meeting weight/body fat goals while gaining strength in training. Fuel Right Race Light eBook as reference for all sports nutrition, which includes Kelli’s video links, blog links, and podcasts. Ongoing nutrition coaching with bi-weekly communication (emails) to provide accountability, nutrition plan adjustments, answers to questions, and preparation for specific upcoming races or events. Not sure which service to choose? Checkout the Service Comparison. Multi month discounts available. Sign up for a year and get 4 weeks free. For more information and to order contact me. I have used both their coaching and their training plans and have had great results with both. 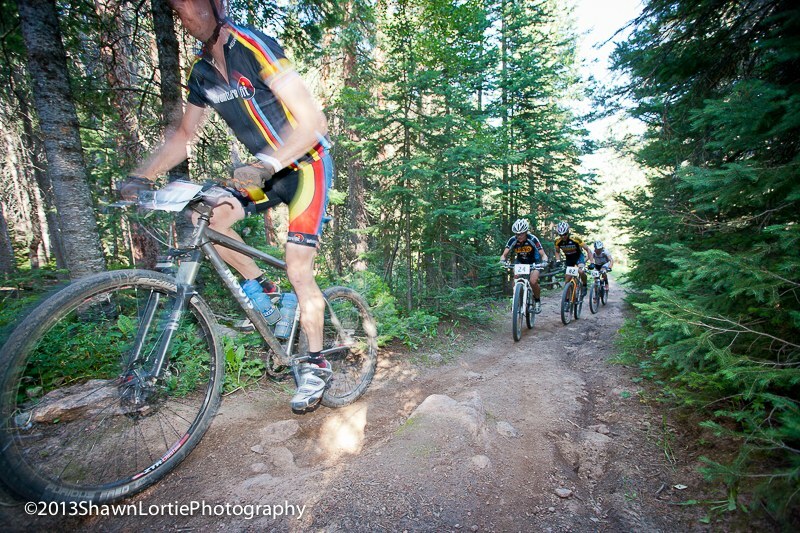 I signed up with Curt to help me tackle the Breck-Epic. He is a coach that has walked the talk and done this race, and has great feedback. That was important to me when choosing a coach and plan. I was thoroughly impressed with his base and build programs offered, finding them very informative and extremely critical to completing the race. I subscribed to his personal coaching services the last six weeks before the event and he was always willing to answer, explain and guide my training progress. He assessed my progress and was helpful with any necessary changes due to scheduling, fatigue or the race in general. His plans I found very balanced for a working father with a family of five. The plans have a nice harmony of rest and training through-out. Curt guided me with on-bike nutrition which was a game changer as I had not focused in on that in the past so much. His guidance and helpful demeanor allowed me to recover faster and train harder. Overall, I am thoroughly impressed with how my fitness progresed and feedback I received as I trained for the race and ultimately finished the biggest race of my life. Thank you! I have been working with MTBCoach for several years to train and prepare for many races, in-season and off-season. I have consistently gotten faster and have completed many NUE races as well several tough stage races, always finishing each better than the last. The scheduling is flexible and since my training time is limited I can ensure that my time on the the bike is spent in the most efficient manner possible. Curt is always quick to answer questions, make adjustments, provide feedback and motivation. Highly recommended for athletes of any level! 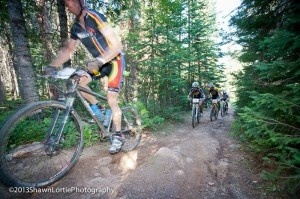 I only trained for a short while with Coach Ben but the entire MTB coach set up is very professional. I am a working mum of four and I needed a coaching schedule that I could squeeze in and a coach who understood that I needed to be able to flex. I got just that. Clear instructions, encouragement plus good results! I definitely recommend them. I worked with Ben for the 10 months leading up to my first 70.3. Through Ben’s coaching I successfully completed the race and stayed focused and injury-free for the duration of my training. I would definitely recommend MTB Coach for anyone looking to meet and exceed racing goals! I have been working with MTBCoach since 2015. The guidance, structured training and coach feedback have helped me prepare for targeted races and maintain fitness between goals. I have been using MTB Coach for approximately 4 years now and I'm very satisfied with the progress I have made with my Mountain Biking goals and Triathlon as well.I live in Trinidad and Tobago in the Caribbean, and there really is no OFF season, we go from MTB races toTriathlon races month after month. My coach is great at advising me of the pros and cons of doing lots of lots events that range from 1 hour races to muti-day stage races, and I have evolved as an athlete and learned about the energy systems, methods of training and nutrition.I highly recommend investing in the knowledge and expertise of MTBCoach.